Gidrolast paint finishing lift 3D hydraulic personnel lifts are capable of 3-axis travel. 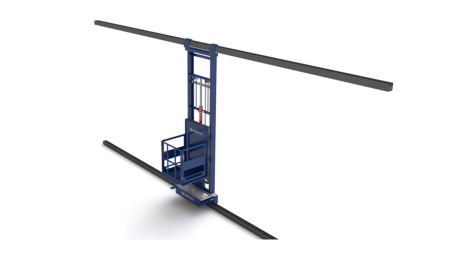 The lift travels on a guide rail system with the lower rail anchored to the floor and the upper rail mounted to the wall of the booth. 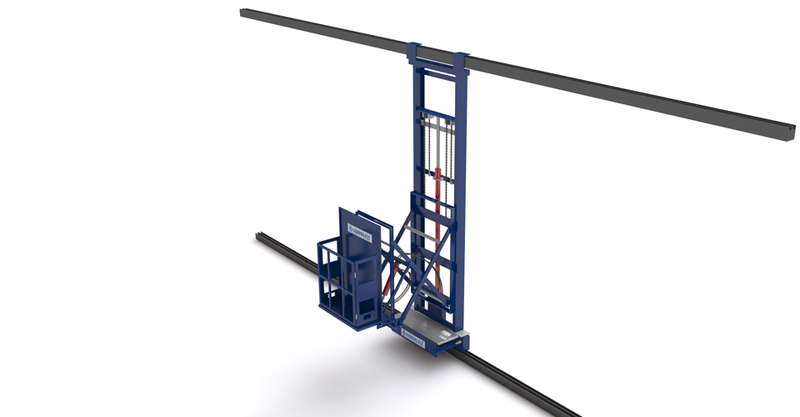 The X-axis travel (left and right movement of the lift) allows the lift to travel back and forth along the length of the booth on a rail system. 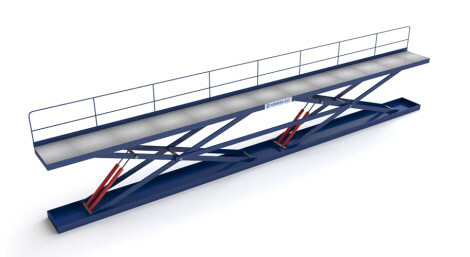 The Z-axis travel (up and down movement of the platform) makes it possible to elevate the operator platform from the lowest position of 635mm (25″) above the top of the lower rail to a maximum raised height of up to 560mm (22″) allowing for operator working height of up to 710mm (28″) (depending on lift model). The Y-axis travel (in and out motion of the operator platform) makes it possible to move the operator platform from a retracted position of 80mm (3″) (as measured from the booth wall to the front of the operator platform) to a fully extended position of 230-180mm (9″-7″) (from the booth wall to the front of the operator platform.) 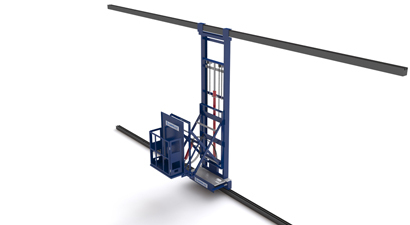 an extended reach feature is available, allowing the platform to extend out 360mm (14″) from the booth wall to the front of the operator platform. The three axes of travel can be operated either independently or at the same time. The lift is controlled by the operator from a control console located in the front of the platform, which allows the worker to face forwards and observe the area as they move the lift. Along with the motion controls for the lift, the console includes an emergency stop button, emergency descent actuation button and an unoiled air supply connection for tools or equipment. 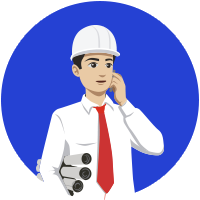 Properly maintained, Paint finishing lift 3D personnel lifts and work platforms will provide many years of trouble-free operation, increasing both the safety and performance of your workers. 3D paint finishing lifts are designed to enhance the productivity and ergonomics of operators. The hydraulically powered lifts are the perfect accessory in hazardous environments such as paint booths or wet locations like wash booths, but can be used in many other manufacturing process areas such as welding, assembly or loading bays.